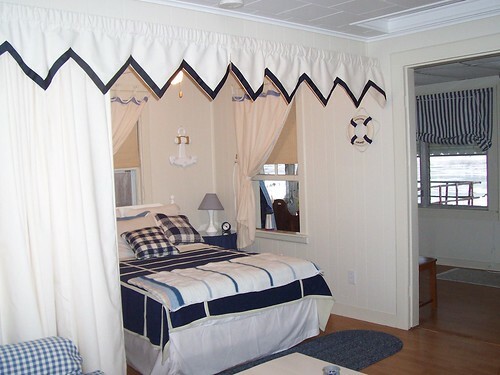 Enjoy your visit to the Brimfield Show even more by staying in a lakefront cottage just 20 minutes away. Rent a peaceful lakefront cottage while you visit the Shows! Enjoy the simple pleasures of lakefront living on beautiful Lake Lashaway, in East Brookfield, Massachusetts. This fully furnished, newly renovated cottage is unique in personality, and invites outdoor fun with the lake right outside the door, and just 20 minutes from the Brimfield Antique Shows. Please call for rates and availabilities. Antiques-atlas.com is one of the longest established UK Antique portals (over 13 years) and is a great resource whether you are planning a buying trip to the UK or buying online. Well, it wasn't a terrible winter here in Brimfield, but it was LONG. And now its over, and the Shows are upon us once again! Thank you for choosing to visit Brimfieldshow.com, the oldest and most widely visited Brimfield-related site! We, and our advertisers depend upon your visits to our site and Shows! THANK YOU! In the past, we've elected to limit advertising space to a few select sponsors, who's ads you can see lower on this page. This year we hope to begin offering lower-cost ads that will enable many more vendors to participate in the vast reach our site provides. We hope you'll consider advertising with us, when we roll out that option! Its hard to believe, despite the long winter that it is that time of year again. Already, fields are being groomed, tents are in place, and vendors of all sorts are anxiously awaiting what many consider the true harbinger of spring - the opening of the May Brimfield Show. ser to opening day, and thanks again for visiting Brimfieldshow.com! Amazing - after all the warnings we've given about parking along Rt 19 (or Rt 20), we still see cars being ticketed for illegal parking, especially along Rt.19 N. Alright, well, we've done our best. Govern yourselves accordingly. We thought we might get a little reprieve from the crowds today, due to the forecasted rain, but it is clearly not to be. And i suppose that's not a bad thing; i mean, suppose the Town set the dates and no one showed up? Well, that's just not the case. The Show continues to grow, which is amazing to all of us who live here --- and this has to be one of the best, most well-attended, in terms of visitors and dealers. This past week has been ... well how many superlatives can we actually use here .... stupendous, amazing, record-setting, incredible... Those of us who live in Town, as we go about our daily business, do our best to avoid the Show route, or we are forced to find more and more back-road routes in, out, and around Town. As usual, the Show is a family oriented event, safe and well-patrolled by Brimfield's finest: on foot, bike and plainclothes. Thank you, Chief Kuss, and the Brimfield Police Department. The one question we're asked most often is about parking - as in: 'is there enough', and 'where do we park'...In 33 years of living in Brimfield, and being present in town for the majority of Shows, we've never not seen parking available. Our suggestion is to drive into the center of town and park at one of the centrally located lots. It ranges from $8.00-$10.00 per car, but you'll be glad you did, when you're tired at the end of the day and have lots of goodies to cart back to your car. No, we at Brimfieldshow.com/.org are not connected to any dealers, promoters or parking lots, we'll always give you the honest scoop. But we do often see folks walking away from town, carrying their prized possessions, headed towards the distant lots. OK, if you have no choice, or a personal preference, fine. Again - enough said. The Show today (Friday) is busy percolating along with J&J opening today, the crowds seem heavier than usual. Tomorrow - Saturday, is predicted to be dry and mixed sun and clouds. if you're looking for something fun, safe and exciting to do, come on out to the Brimfield Show! In spite of the rain showers on Friday and Saturday, this Show was the largest Show of all time, with an estimated 20,000 dealers and over 230,000 visitors throughout the week. The crowds were large, but not uncomfortably so - remember, the Show takes places over almost 1/3 mile of Rt 20, easily going back 500' on each side of the road. There's plenty of space to accommodate everyone, with room to spare. Each year, in spite or dire predictions, the Show goes on, and not only goes on - it gets bigger! In fact, the Show has expanded, and continues to expand its way westward on Rt. 20. The mile or so that's available for expansion means the Show can continue to grow each year. Personally, we'd also like to see a carnival appear during Show weeks on the vacant acreage owned by the Faxons on the west end of Rt 20, but that's entirely out of our control. But it would/em> add to the wide-spread appeal of the Show, and give folks who come over successive days some entertainment at night. Just a thought! It's OFFICIAL! THE BIGGEST SHOW EVER! --- EVER!!! Well, if you were there, its not news to you... this past opening (May) Show was the largest show and most well attended Show ever - by visitors and Dealers. We spoke to a number of dealers throughout the Show at various times, and the various dealers we spoke to agreed that business was better than ever, that visitors were more plentiful than ever. and that more dealers were participating than ever before. It was obvious from the Main Street Crawl that everyone was having a great time, and equally obvious that the Show's physical parameters have expanded even further beyond the typical Show boundaries than ever before. The Brimfield Show is a GREAT EVENT, and clearly - every one wants to get in on a good thing!. Gone are the days when you could leisurely cover the Show in a day. You might -still- be able to see everything in one day, but it wouldn't be leisurely, and you would be -exhausted- from trying! (We know, we've tried it!). All of this is very good news for Promoters, Visitors and Dealers. Back in the late '90s with the increased popularity of eBay, many said the Shows were doomed to extinction, but the decades since have proven the doom-sayers wrong, thankfully. Its really a great, safe, fun family event and we here at Brimfieldshow.com and Brimfieldshow.org are thrilled to be a small part of it! We continue to receive requests from dealers and vendors looking for info on setting up booths, but it bears repeating: the Promoters are responsible for making all vendor arrangements in their own fields. You can see a list of Promoters and contact info here. Brimfieldshow.com and Brimfieldshow.org remain an independent broker of honest info and opinion about the show - we have no financial interests in, or loyalties to any parties involved with the show; we stand alone in that premise, and we exist to serve only ---YOU, the Show Visitors. That's why all the features are free - free classifieds, free bulletin board, free shoutbox, free dealer database. Please patronize and support our advertisers who make this site possible - we appreciate your mentioning this site when you do! We're looking forward to The Show, and to seeing you there for the next Show, July 14 - 19! Feel free to send us any questions or photos, we'll answer your questions and publish the photos! WOW, have you been to the Show lately? Simply the biggest outdoor antique Show, with an all-time high attendance of an estimated 500,000 visitors over the course of the week. Personally speaking, its great to see that the likes of eBay and Etsy have only popularized antiquing and vintage wares, and we'd admit that the Town was more consistently busy all week long, something we do not usually see. As always, the crowds were manageable with few reports of trouble, and the Show remains a top family/friends outing event. We at Brimfieldshow.com/.org were interviewed for several national publications, including an article that included Brimfield as one of the Top 10 (its actually #1) Outdoor Antique Shows in the Country (actually the world). The dealers we spoke to indicated that this was the best May show in memory, with more than a few comparing it back to the early era of the Show, when Gordon Reid began the shows. Again, speaking from 30 years of personal experience and observation - this WAS the largest Show of all time. The big news for us, aside from the May Show, is an updated Brimfield Show website. We began Brimfieldshow.com back on March 12, 1998 - 18 years ago - the original Brimfieldshow site. Getting back to the pre-show comment - as usual, and as many of you already know - it will be difficult - if not impossible, to see the entire Show in one day. Plan your route and please please please - if you see something you're interested in for possible purchase later, WRITE DOWN THE FIELD AND STALL NUMBER We get many questions about ... where can I find this or that... its almost impossible to track back if you don't know where you were. OKAY, that's our tip for today. Please send your photos to us... info@brimfieldshow.com ... And we'll post them! How far do you travel to come to the show?, how much do you spend? How do you pay? Which field is best? Take the Survey! IMPORTANT TO READ: PLEASE do NOT park in any unmarked areas. If you park anywhere not specifically designated as parking along Route 20 or Route 19 - your car will definitely be towed. If you are picking up an item you've purchased and have parked on Rt 20, do not leave your car unattended. Towing of illegally parked cars in town is BIG Business - fair warning! Besides, at $8.00 a day you can get perfect parking in the middle of the show. Why risk it? SO WHAT IS THE BRIMFIELD SHOW??? Only the largest outdoor antique show in the world, held since 1959 in Brimfield, Massachusetts, three times each year, with thousands of dealers attending! Brimfield is an easy 1-hour ride west of Boston. Thank you for making Brimfieldshow.com the undisputed leader of all Brimfield Show sites. Also - THANK YOU BRASSMAN RON BETHONEY, for the photos, some of which we are displaying on our pages! LoveAntiques.com is the best and most trusted place to buy European & British Antiques online! It is the fastest-growing antique marketplace, offering you thousands of genuine antiques to buy from trusted dealers. LoveAntiques.com allows you to buy direct from the dealer, with most dealers shipping worldwide. The vast selection of jewelry, furniture, silver, ceramics and collectables on the website offers buyers a beautiful and unique range of antiques to suit every interest. cottage just 20 minutes away. 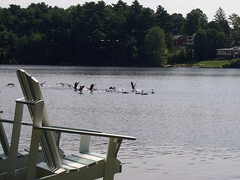 Enjoy the simple pleasures of lakefront living on beautiful Lake Lashaway, in East Brookfield, Massachusetts. This fully furnished, newly renovated cottage is unique in personality, and invites outdoor fun with the lake right outside the door. 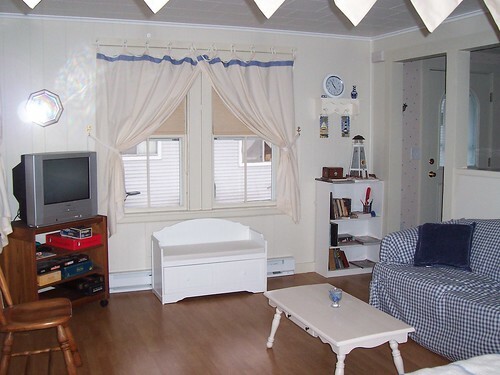 This immaculate cottage offers a bedroom/sitting area with a full size bed, ceiling fan, cable television and DVD player, blankets, pillows, and all linens. A full bath has a shower and an apartment-size washer and dryer. 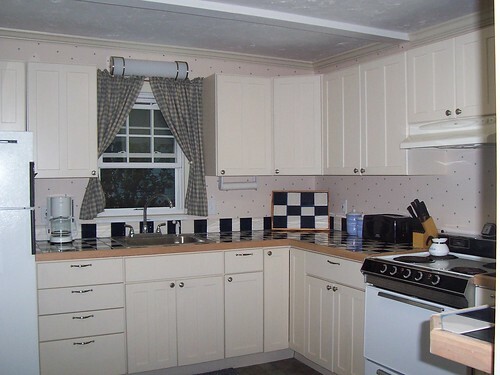 The full, bright kitchen includes stove, microwave, refrigerator, toaster, coffeemaker, and all cooking utensils. The cottage has a full size futon on the sun-porch overlooking the lake. The yard is both sunny and shady. There is a private dock for swimming or to park your own boat right outside your door. A boat launch at the north end of the lake allows you to launch your own power boat or jet ski. Outside amenities include a gas grill, and a picnic table for outdoor dining, Adirondack chairs, a brazier for campfires, and two car off-road parking. The area is friendly and safe for walking, biking, swimming, boating, waterskiing and fishing. 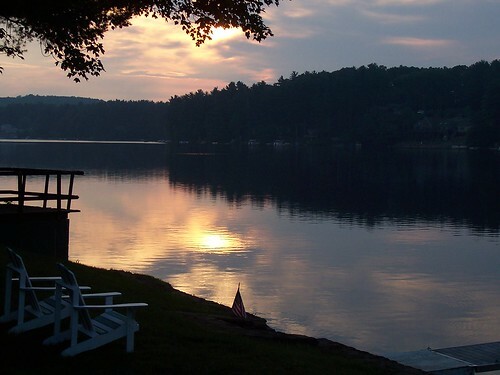 Lake Lashaway is 1 1/2 miles long and ½ mile wide, and was rated one of the top bass fishing lakes in Central Massachusetts by the Boston Herald. 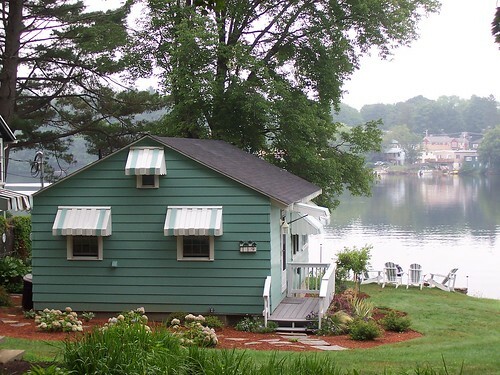 This cottage is perfectly suited for either a fun-filled active vacation or a relaxing get away. The UK's most comprehensive Antique Fairs Diary. LargLarge UK Directory of Antique shops, centres, fairs and wholesalers covering the whole of the UK and Ireland. Big online catalogue of Antiques for sale from UK dealers. Visit Campello Antiques Online Store Here! At Campello Antiques, we have been in the business of restoring and selling antiques since 1895! Starting with Joseph Bethoney and continuing for 5 generations, we have been servicing the South Shore and the city of Brockton for over 100 years! Our service ranges from industrial, residential and commercial antique & brass selling, restoration and polishing. Our service ranges from industrial, residential and commercial antique & brass selling, restoration and polishing. Our inventory includes a variety of architectural antiques with a specialty in brass polishing, chandeliers, and sconces. We also offer mantels, doors, newel posts, fretwork, vintage plumbing, terra cotta, ... any assortment of architectural antiques is possible in our showroom. At any given time, we have several hundred fully restored fixtures in stock. We constantly seek out architectural antiques and lighting which represent the elegance, style, grace, character, and quality which was present in homes and mansions of days gone by. We hope that you have enjoyed our picture galleries of antique light fixtures, chandeliers, and architectural antiques. If you haven't found what you are looking for, we invite you to E-Mail us with your specific needs, or stop by and pay us a visit! Campello Antiques Visit Campello Antiques Online Store Here!